Hotels in Tokyo are divided into two broad categories. The first category comprises the business travel hotels like Keio Plaza and Sunroute. Designed for short stays, the rooms at these hotels are so small that you must open your suitcase on the bed (there isn’t enough floor space) and the bathroom resembles an airplane lavatory. You pay for what you get, which is a night’s sleep after you spend the entire day out on the streets. The second category comprises the ultra-expensive hotels like the Mandarin Oriental and the brand new Peninsula. A stay at these luxury hotels is an experience in and out of itself. You pay for what you get also, which are the beautiful city views, a state-of-the-art gym, prompt house-keeping and personalized customer care. The Park Hyatt Tokyo falls squarely in the second category. 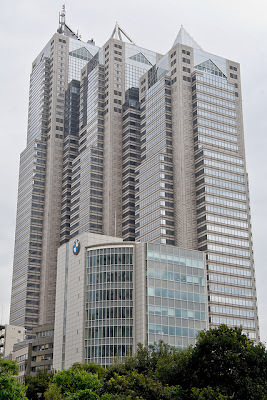 Occupying the top 14 floors of the 52-story Shinjuku Park Tower, the five-star hotel offers sweeping views of Tokyo and is patronized by dignitaries and celebrities. 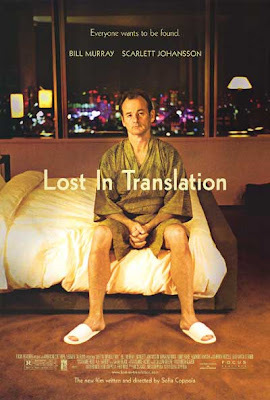 The name was made world famous by Sofia Coppola’s award-winning movie Lost in Translation. That was the reason why I decided to bite the bullet and pay the hefty premium for a four-night stay this past December. If nothing else, I was curious to find out if any Japanese prostitute would show up at my door in the middle of night begging me to “lip” her stocking. The hotel and I got off on the wrong foot at the check-in desk when we were caught in a minor dispute over a complimentary upgrade. In the end the manager capitulated and all was good. He then ushered me to my corner room, which, despite being an upgrade, was substantially smaller than a room at the Mandarin Oriental that cost about the same. To spare me from total disappointment, the room featured toiletry products by Aesop, a fitting brand for the Park Hyatt because its skin care products -- available at fine department stores like Lane Crawford and Harvey Nichols -- are just about as overpriced as the hotel itself. The Park Hyatt is a 20-minute walk from the nearest JR/metro station, which is a major inconvenience since no one in Tokyo takes a cab unless they have to. The long walks to and from the train station are annoying, enough to discourage me from staying at the hotel a second time. Once at the hotel lobby, I faced yet another five-minute walk through zigzagging hallways before I get to the elevator bank to my room. The walk within the hotel seemed interesting the first time I did it – there was a library and a mini-art gallery along the way – but it got old quickly after a few repeated trips. Without a doubt, the Park Hyatt is an excellent hotel. The service is impeccable. For instance, I told the front desk about dryness in the room and next thing I knew a manager showed up with a humidifier at my door. I needed my skis waxed and the concierge with a can-do attitude called up several ski shops in Hokkaido for me. But for the savvy traveler looking for convenience and a bang-for-the-buck, the Park Hyatt is not high on the list. And for the record, no one did ask me to rip her stocking.